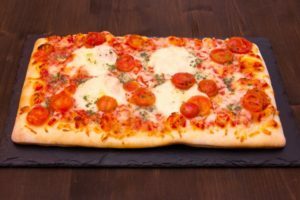 Pizza stones are a hot item in kitchen equipment today. They make pizza-making a great experience. 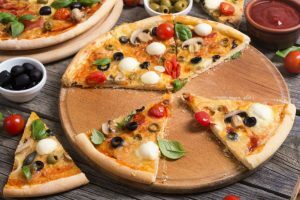 Its capability to bring forth pizzas with a chewy yet soft, nicely-browned crust is what makes owning such an item a blessing in your kitchen. 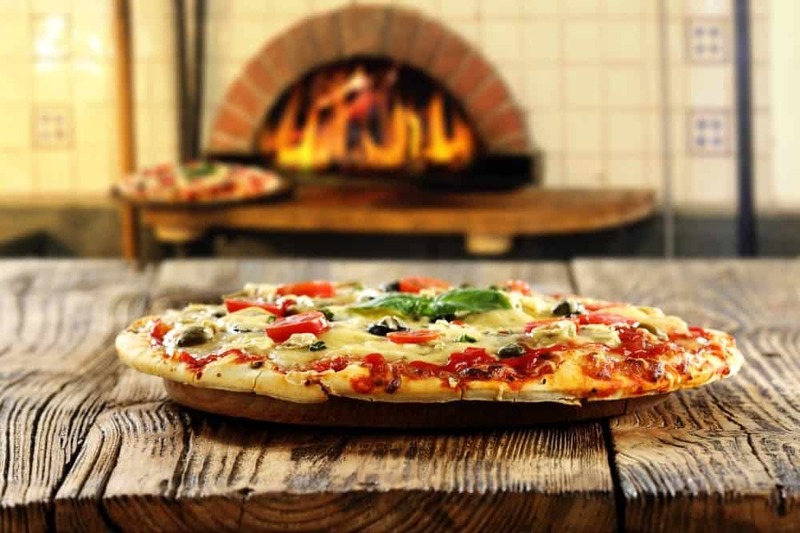 There are 3 basic materials used for making pizza stones and they are cordierite, fibrament and firebrick. Cordierite is a ceramic item that can withstand more than 1800 degrees F and is outstanding when it comes to thermal shock resistance. Fibrament contains a fusion of conducive and heat-resistant resources and is capable of enduring up to 1500 degrees F. Lastly, ceramic or firebrick material can copy the output of olden ovens and is made up with fire clay. Some kinds of firebrick can even bear up with temperatures that range up to 3000 degrees F.
Remember that every material has its advantages and disadvantages. Cordierite may be heavy, but it is long-lasting. Fibrament is known for churning out crispy pizzas, but the stone has to be cured first before usage and it cannot be washed with soap. 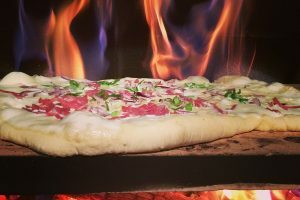 Furthermore, firebrick can give pizzas excellent taste, but some consumers have criticized that it tends to release an odd odor to the food once you heat it. Pizza stones are obviously not made of plastic material. It is either made of earth or ceramic materials, thus it can be quite heavy. The extra weight is attributed to the structure of the stone, which also contributes to perfecting that pizza dish. Of course you do not have to purchase a stone that you won’t be able to lift into or out of the oven. Just make sure that it has a light enough weight that you will be able to transfer it from the baking surface without plenty of effort. Do not go for the really light ones either, since a stone that is lighter than the standard will crack or break faster due to frequent use. 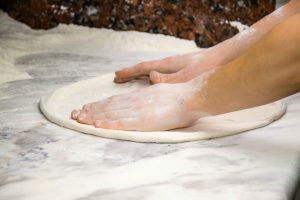 Several pizza stones require cleaning in a particular manner. Stones with fibrament material should be cleaned with nothing but water. Some companies even suggest not washing the item at all. While this may sound kind of gross, but not every pizza stone requires this. Several are finished with some kind of material that lets moisture to seep in the matter and enhance the stone’s quality. Because of this process, these kinds of stones are therefore easier to clean and maintain. 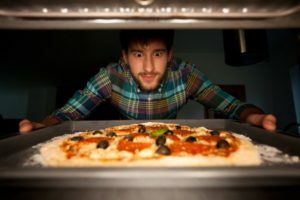 Being the owner of a durable pizza stone requires a bit of effort and commitment, hence you should take in the cleaning process when you are looking for a stone. 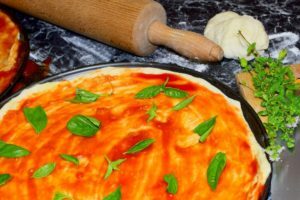 Check whether the pizza stone can be used for making other kinds of food like bread and cookies. Can the model be used on top of a grill? Can it be used as a warm serving platter? 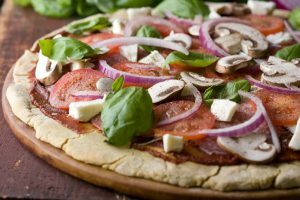 Resourcefulness or versatility is key when it comes to choosing a pizza stone, especially if you are the type who loves experimenting with food. 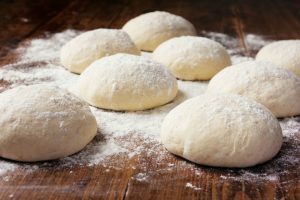 A stone with a square shape will allow more room for other dishes, while a round one is just as good when it comes to baking breads or heating up quesadillas. Learning to the Greatest of All Time in pizza-making takes time, effort and great pizza-making equipment. Mixing a variety of toppings and cheeses in balanced ratios is a talent that requires practice and patience. 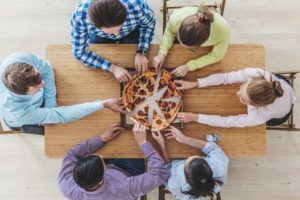 Making use of a device like a pizza stone helps plenty of cooks in this area and will guarantee that a pizza’s crusts will be crispy and soft, with perfectly-baked toppings.